HDC offers no obligation consultations in London on a regular basis. Email hairsite@aol.com to arrange. Looks like the donor area healed beautifully. Congrats on a nice result. I’m not quite sure what to make of this result. It looks like some areas grew and some did not. » Looks like the donor area healed beautifully. Congrats on a nice result. Hairlosscure, thank you for your comments. We will start to post a few more results in the next few days. Our photo organiser was on holiday during August, so now we will get a flow of new results. Hopefully you will get a new result before monday. 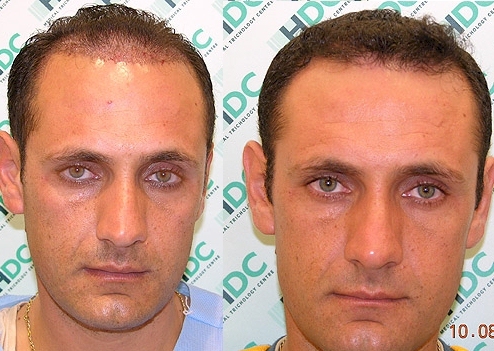 For those who want to see our well documented results with clear and comparable photos, we have 41 detailed Hair transplant results in our website at this link. I agree , not very even, is that intentional ? Do you have pics showing his hair all brushed back, the money shot ? » hair all brushed back, the money shot ? 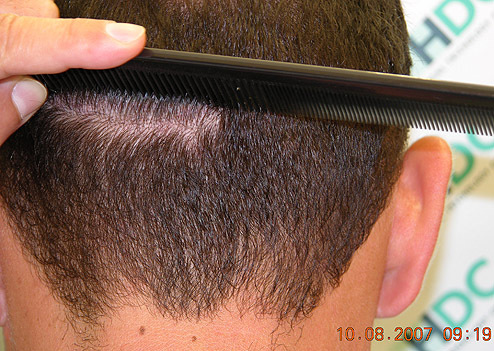 Looks better, its funny this clinic only posts diffuse thinners, all their patients have very similar hair loss. I wonder why this clinic does shave down the recipient area to implant the grafts. Wouldnt this be easier?